February 18, 2019: The criminal appeal in the defamation case against Google involving writings of Ban Asbestos Network of India (BANI) on its website- www.asbestosfreeindia.org is scheduled for hearing on 12th March, 2019. 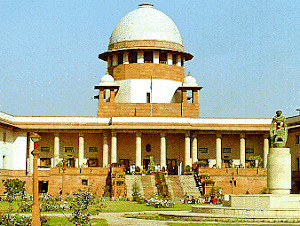 The matter had come up for hearing before the Bench of Justices Ashok Bhushan and K.M. Joseph on 12th February, 2019. Prior to this, in the order dated 10th November, 2016, Supreme Court Bench comprising Justices Dipak Misra and Amitava Roy had directed Attorney General to assist the Court in a case involving the liability of intermediaries like Google. Unlike NIOH which has admittedly conducted scientifically and ethically questionable study at the behest of the asbestos industry, Indian Council of Medical Research (ICMR) has “informed that major health hazards of asbestos include cancer of lung, mesothelioma of pleura and peritoneum and specific fibrous disease of lung known as asbestosis. All types of asbestos fibers are responsible for human mortality and morbidity….Directorate General Factory Advice Service and Labour Institutes, (DGFASLI) under Ministry of Labour & Employment has intimated data of workers suffering from Asbestosis in factories registered under the Factories Act, 1948.As per the information provided by DGFASLI, it is informed that 21 no. 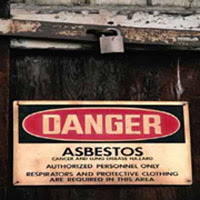 of Asbestosis cases were reported in Gujarat in 2010 and 2 cases in Maharashtra in the year 2012”. This has been shared by the Union Minister for Health and Family Welfare in a written reply in the Parliament. BANI works with peoples movements, doctors, researchers and activists besides trade unions, human rights, environmental, consumer and public health groups. It has been demanding criminal liability for companies and medico-legal remedy for victims. BANI’s work is not driven by any corporate donor or any programme under Corporate Social Responsibility (CSR). 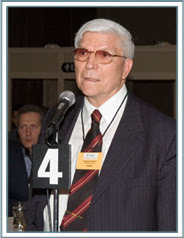 The case is related to the articles published on www.asbestosfreeindia.org, a Google supported site. The respondent in this case is Visakha Industries, which is engaged in business of manufacturing and selling of asbestos cement sheets and allied products. Asbestos is a carcinogenic mineral fiber banned in some 70 countries. Visakha is a member of Asbestos Cement Products Manufacturers Association (ACPMA), which represents the interests of the Indian asbestos industry. ACPMA has been spreading the misinformation and falsehood about the possibility of safe and controlled use of chrysotile asbestos. 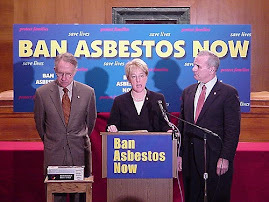 The world’s scientific and medical community has overwhelmingly concluded that chrysotile asbestos causes deadly diseases, such as asbestosis, mesothelioma and lung and other cancers. The International Agency for Research on Cancer (IARC) and the World Health Organization (WHO) have called for an end to all use of chrysotile asbestos in order to prevent further tragic epidemics of asbestos-related diseases. It is significant that the Ministry of Mines has informed that “the Grant of fresh mining leases and renewal of existing mining leases for Asbestos are presently banned in the country on Health Grounds”. Government had imposed this ban on mining of all kinds of asbestos in 1986. Since 2015, India has not produced any asbestos mineral. India has also banned trade in asbestos waste (dust and fibers) under Environment Protection Act, 1986 and UN’s Basel Convention on the Control of Transboundary Movements of Hazardous Wastes and Their Disposal. Unmindful of the fact that some 70 countries have banned all kinds of asbestos including white chrysotile asbestos, India is yet to impose ban on trade in raw asbestos, manufacturing of asbestos based products and its use. The core scientific question is: how can Indian asbestos be poisonous but Russian asbestos is not. India is the biggest importer of Russian asbestos. Can Indian Cyanide and Russian Cyanide have different health impacts? Russia is the biggest supplier of asbestos to India. Meanwhile, Drugs Controller of India has been asked by National Human Rights Commission (NHRC) to reply in the matter of ongoing exposure of Indians to carcinogenic asbestos fibers contaminated Talc powder in India by 8th March 2019. BANI is part of efforts to ban such asbestos laden products in order to safeguard lives of present and future generations. In a bizarre incident, suspicious packages with white powder were found at India's Consulate and other missions in Australia. 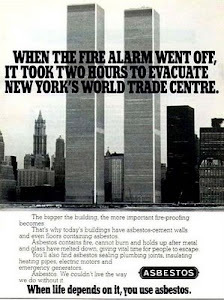 Some of the packets were marked 'Asbestos' and sent to several Indian missions after which authorities evacuated the facilities and launched an investigation. Australian Federal Police informed Press Trust of India in January 2019. Notably, Australia is one of some 70 countries that have banned totally banned asbestos of all kinds. Disregarding incontrovertible scientific evidence against asbestos, India has been importing asbestos from asbestos producers like Russia and Kazakhstan. On an average, India has been consuming 340,000 tons of asbestos annually. The major products imported by India from Kazakhstan during 2016-17 included asbestos, 6 per cent of India's total asbestos import. India consumed 473,000 tons in 2012, 303,000 tons in 2013, 379,000 tons in 2014, 370,000 tons in 2015 and 308,000 tons in 2016. It is estimated that worldwide consumption of asbestos minerals decreased from approximately 2 million tons in 2010 to nearly 1.4 million tons in 2016. India has not undertaken any comprehensive evaluation of asbestos to identify its end uses, exposure pathways, and environmental and human health hazards. But lack of data does not mean absence of victims of asbestos related diseases. In a significant development, Hyderabad Industries Limited (HIL), one of the key members of Asbestos Cement Products Manufacturers Association (ACPMA) has launched asbestos-free roofing product- Charminar Fortune. The delay on the part of other members of ACPMA amounts to causing incurable diseases and deaths which were preventable.